Wednesday, March 26, 2014 Posted by Stefanie B. In order to help foster informed customer buying habits, Woodland Direct has compiled a list of frequently asked questions about steel. Continue reading this post for more information about its beneficial properties, the different grades available, and other important facts to consider when making your purchase. 1. What is the difference between stainless steel and carbon steel? Technically speaking, stainless steel and carbon steel are created from different chemical compositions. Stainless steel is made from a combination of chromium and iron. In order for this metal to be characterized as a "stainless" steel, it must be composed of at least 10.5% chromium, which produces a preserving, self-healing oxide film. It's this invisible film that allows stainless steel to be resistant to corrosion, discoloration, and staining. It doesn't need to be treated, coated, or painted to protect against wear, making it ideal for use in outdoor applications. Carbon steel is the most produced and used steel in the world. This metal is created using a combination of iron and carbon elements. It tends to be more workable than stainless steel, making it ideal for molds and other automotive body applications. Unfortunately, if left untreated, this kind of steel will readily corrode. 2. What's the most common type of stainless steel? What are its advantages? The most common stainless steels used are typically either 300 or 400 grade stainless steel. Ironically, the lower the number, the greater the durability, corrosion resistance, and general safeguarding against wear. Type 304 is the most common kind of stainless steel. This grade of metal is extremely versatile and possesses exceptional forming and welding abilities. 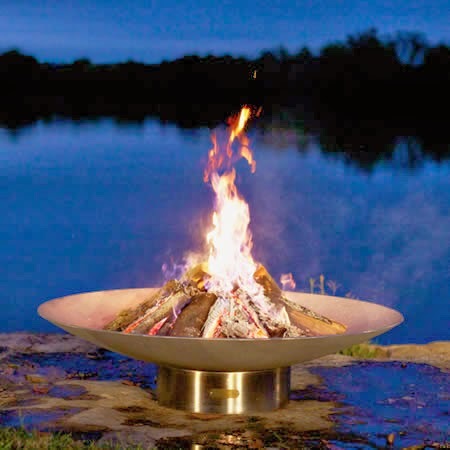 Our elegant Bella Vita Stainless Steel Fire Pit is constructed from 304 stainless steel. 3. Why are there different gauges of metal available and what should I choose? If metals are listed with different gauges, it means that they are available with different thicknesses. Most often, the gauge of metal is referred to based on a scale between 8 and 30. The lower the number, the thicker you can expect your steel to be. If not based on this scale, different gauges can be listed by their inch thickness - for example 1/4" steel. It's good to understand this when you're concerned about the durability of a product; thicker steels tend to be the most strong and long-lasting. 4. What is cold-rolled steel and does it have any benefits? Products made from cold-rolled steel allow for simple customization. By rolling, stretching, or hammering the steel at a low temperature, manufacturers are able to augment the hardness and strength of the metal. Cold-rolled steel is also ideal for producing cut-out designs, because of the adaptable manufacturing process. 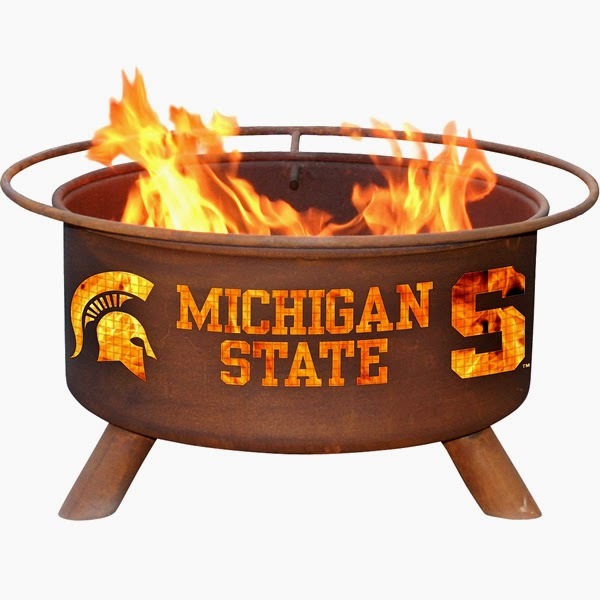 Check out, for example, our Michigan State Fire Pit. 5. There are so many different kinds of steel out there! What are some properties of marine-grade stainless steel, galvanized steel, and Cor-Ten steel? Marine-grade stainless steel is also known as Type 316 stainless steel. It's the second most common kind of stainless steel, right after Type 304. Marine-grade stainless steel is most beneficial in areas along the coast because of its higher resistance to chloride corrosion. 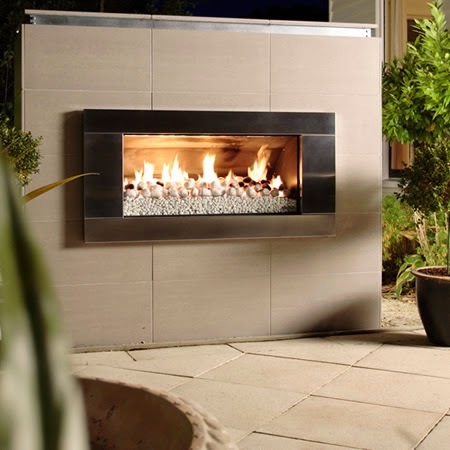 The Escea EF5000 Outdoor Gas Fireplace is made from 100% marine-grade stainless steel. Steel has been "galvanized" when it's coated with zinc to protect against deterioration and oxidization. This coating protects the steel in two unique ways. First, it keeps the majority of rust from forming. Second, the zinc coating develops an outer layer that will protect the steel should rust form on the surface. If you're looking for an outdoor fireplace that's composed of this material, try the Bull Outdoor Traditional Outdoor Gas Fireplace. It's available in four different rock stucco options to match your outdoor design scheme. 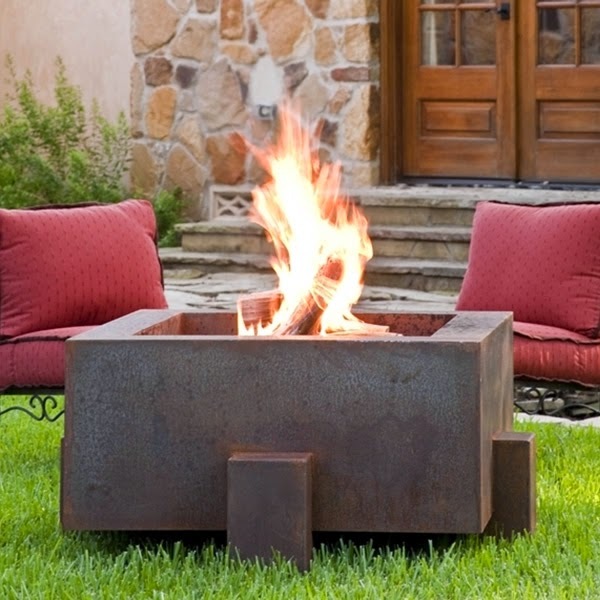 The Vesta Fia 38" Gas/Wood Hybrid Fire Pit is a striking example of a fire pit created with Cor-Ten steel. This kind of material is also known as weathering steel because of its weather resistance of up to four to eight times that of normal steel. When exposed to the weather, this kind of steel will form a rust-like appearance, adopting a unique shade of patina after the first few months of exposure. Do you have more questions for us? We'd be happy to answer them. Tell us what you think in the comments!